Former Reserve Bank of India (RBI) governor Raghuram Rajan said he had flagged off a list of high profile fraud cases to the Prime Minister's Office (PMO), but he was unaware of where those cases stood. Rajan said this on Sunday while speaking to NDTV on a slew of issues from the Indian economy to demonetisation to the RBI-government confrontation, Rajan touched upon some of the contentious issues and also made some suggestions. 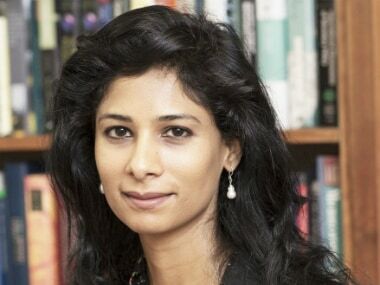 #RajanToNDTV | Raghuram Rajan, on the list of high profile fraud cases that he submitted to the PMO, says "unaware of where those cases stand"
The 55-year-old economist, who is an international academician and the Katherine Dusak Miller Distinguished Service Professor of Finance at the University of Chicago Booth School of Business, spoke on the issue of RBI's cash reserves. He said there is always a pressure on the central bank to pay the government more. "When I was governor, we paid the highest dividend to the government. But that isn't the issue any more. The government doesn't just want the profit, it wants the excess." Rajan pointed out. There has been an ongoing tug of war between the two constitutional entities with respect to the government’s demand for a substantial chunk of RBI’s cash reserves. The RBI wasn’t happy when the government pitched for dilution in prompt corrective action (PCA) imposed on 11 State-run banks and pushed for special provisions for MSMEs lending. Rajan suggested a solution to the ongoing fracas with the RBI. He said: "Given the controversies, it makes sense to have an external board to look at what's been done. I'm not a GDP expert but my sense is that we've gone backwards and forwards. Ultimately we have to have confidence. For the outside investor. And for policy decision," Rajan said. Speaking about defaulters and fraud, Rajan sought to differentiate between the two. He said he had sent a list of high-profile fraud cases to the Prime Minister's Office (PMO) during his tenure. 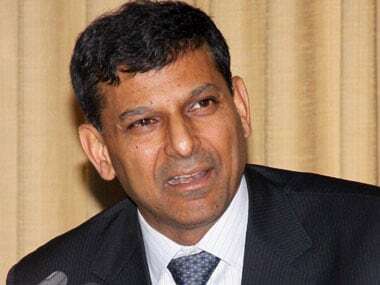 Speaking on a slew of issues on the Indian economy and global trends, Rajan said: "A defaulter is different from fraud. That (default) may be bad luck. If you start putting defaulters in jail then nobody will take any risk," he cautioned. On demonetisation: The 8 November 2016 decision of the government to demonetise Rs 500 and Rs 1,000 currency notes had a singificant effect on growth, Rajan said. He said that when the world was growing faster, Indian slowed down. "Net impression is that it had a significant effect on our growth. There was a twin blow with the GST. GST was good in the long run, but had teething problems... I was asked about demonetisation, I said it was a bad idea," he said. On GDP revision: In the last week of November, the government put out a new set of data that tried to show that economic growth during the NDA regime was far higher than that during the 10-year UPA tenure.The Central Statistics Office (CSO) said the average growth rate during the UPA tenure of 2005-14 was 6.7 percent compared with the NDA growth rate of 7.3 percent in 2015-18. Raghuram Rajan said revisions take place all the time, and there is no problem as such in doing that. However, he said, "It needs to be explained what exactly you did, and to put out all the numbers." He termed GDP as a 'sausage put together with assumptions, extrapolations; it's complicated," he said. On IL&FS crisis: IL&FS floated by government-controlled entities, including the Central Bank of India, Unit Trust of India and the Housing Development Finance Corp in the 1980s, came under the scanner of multiple regulators, including SEBI, for alleged defaults related to financial disclosures and corporate governance. Rajan said, there were early warning signs of the financial crisis in IL&FS which should have been heeded. "We've now discovered the extent of the problem largely... My sense was that we are now where we thought they might be... The reality is if you don't recognise it you're not forced to act," he said, adding, "I dont think IL&FS is India's Lehman moment." "We need to take a close look at regulatory and supervisory structure. Regulators can't stop you from giving bad loans, they aren't bankers. But they can point out one," he said. Protecting institutions: Rajan said the government should be protecting institutions, not just for foreign investors but even for domestic investors. This is so that they can be confident and also for a sense that the rule of law is upheld. 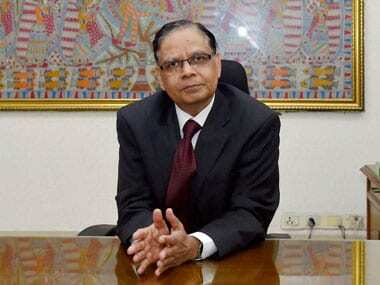 To that extent India is very well-positioned for growth, he said. "So we should be protecting institutions because we will need them," Rajan said. "We can have faith in the institutions because they are protected by our democracy. If the governments lean too much on an institution, we have faith that the well-thinking people will come to the aid of those institutions," he added. On what ails the economy: The former RBI governor pointed out three issues -- lack of jobs, agrarian distress and lack of women's participation in economy -- that was plaguing the economy. The lack of jobs, he said, was a 'very serious issue'. He pointed out that when 25 million people were applying for 90,000 jobs in the Railways, it seemed to be a reflection of the fact that the country has a real job problem pointing out that even at 7 percent growth, there are not enough jobs, Rajan said. Agrarian distress too is a huge problem, Rajan said. "This, power and banks are the main problems," Rajan said, adding, that India needed to see agriculture as a growth engine. "Lack of women participation in economy is very worrisome. 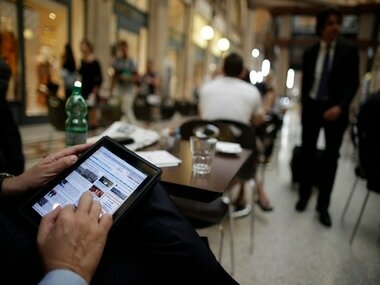 We're not creating opportunities for women," he pointed out. 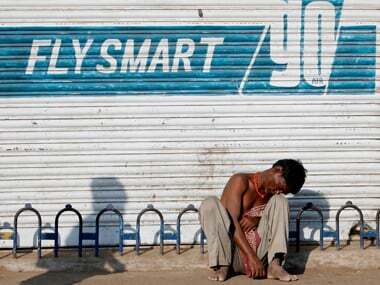 Employment scenario: On the 'serious issue' of the job situation in India, Rajan said, there is a fear of the future. "People have lost their unionised jobs. There is a fear for their kids, no quality education. They see lack of mobility," he said. Pointing out why globalisation is unpopular, Rajan said when people are losing jobs, they don't see that goods are cheaper. "Trade is responsible for local job losses. But broadly it's technology which is responsible. Thanks to online shopping and such," he said.